Our topic is irreversible or plastic deformation of structural elements composed of relatively thin ductile materials. These deformations are commonly used in sheet metal forming operations to produce lightweight parts of any particular shape. In another context, this type of plastic deformation is described as impact damage in the case of structural components involved in collision. Here we are concerned with mechanics of both static and dynamic deformation processes. 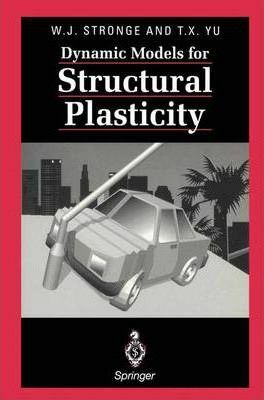 The purpose is to use typical material properties and structural characteristics to calculate the deformation for certain types of load; in particular to find the final deflection and shape of the deformed structure and to illustrate how the development of this final shape depends on the constitutive model used to represent the material behavior. The major issue to be addressed is which structural and constitutive properties are important for calculating response to either static or brief but intense dynamic loads. Furthermore, how do the results of various constitutive models compare with observed behavior.